If you've listened to the radio lately (JK LOL I mean Spotify), you may have stumbled across a song that made you want to drop a love note in someone's locker and cuddle with Harry Styles and live inside a Nicholas Sparks novel all at the same time. No, I'm not referring to "Anaconda," although it's a close second. The catchy song in question is "Life Of The Party" by Shawn Mendes, which is a big ball of teenage love, insecurity, and angst rolled into a beautiful, catchy melody that has given my replay button a workout ever since I first heard it. You might be surprised to know that Mendes, the talented 16-year-old kid from Canada behind the song, actually got his start by posting acoustic covers of popular songs on social media before getting signed. It's easy to see why Mendes racked up the fans, with a casual 3.2 million followers on Vine, 1.8 million on Twitter, and a bunch more on YouTube, thanks to his great singing voice and overall cuteness. He's like a young (taller) Justin Bieber, pre-DUI and pre-douchiness, and has plenty of talent to back him up. He scored a sweet deal with Universal Music Group's Island Records label in early 2014, and even went on tour with pop sensation Austin Mahone this summer. 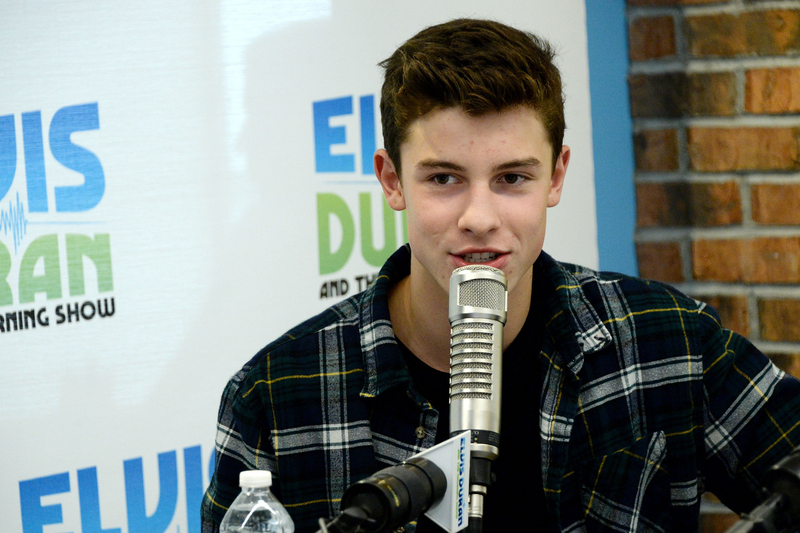 In addition to getting his big break on stage, Mendes is proving that he's pretty cool off it as well. He teamed up with DoSomething.org to help spread positive messages to all of his impressionable fans after seeing a few of them at meet and greets with cuts on their arms, and was determined to help improve their self-esteem and encourage them to stay away from acts of self-harm. Um, excuse me while I go shed a tear in honor of this teenager who's more compassionate than pop stars twice his age and three times as famous. If you want to catch Mendes performing in real life before he completely blows up and takes over the world, you can check him out at one of his first three headlining acts, which he just announced, in New York, Los Angeles, or Toronto in November. If not, just keep listening to "Life of the Party" over and over again. It's cool, I won't tell.